(Updated 8/19, Added Bp Auxentios of Photiki’s introduction.) And the winners are: the Orthodox people, who finally are beginning to get some clear answers about the respective positions of different Synods in the True Orthodox Church of Greece. 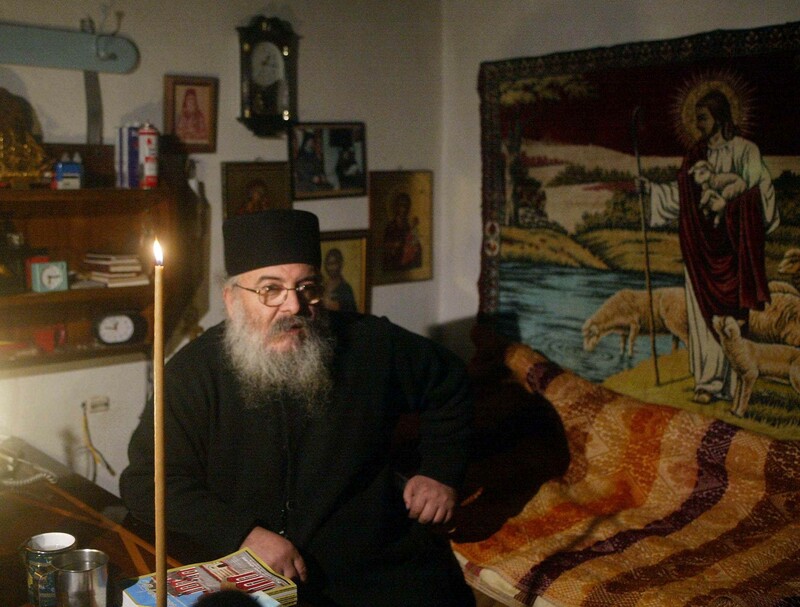 NFTU has been following with interest the recent back-and-forth dialogue between members of the Synod in Resistance and the Genuine Orthodox Church under Archbishop Chrysostomos of Athens. We’ve previously noted that questions are being posed to the Synod in Resistance in response to their official dialogue from “O Ekklisiastikos”, an organization under the latter Synod. Presumably the members of the Ekklisiastikos group are clergy within the GOC-Chrysostomos. The document in question makes first a response to the questions of the Ekklisiastikos group last year that were reported on NFTU in March, as well as a second response to their rejoiner composed in July. This letter marks the first time the Ekklisiastikos group are officially taken to task directly by the Synod in Resistance. One suspects in the response of the Synod in Resistance that either the identity of the Ekklisiastikos group are known or guessed to be ranking clerics who may be keeping their identities secret. We will not speculate on why they have chosen to keep their identities secret, though one may guess that secret identities on the Internet serve useful polemical purposes (one can officially deny all knowledge of one’s actions, et cetera). May God bless you. I wish you a wonderful Feast of the Transfiguration. I have attached a document of extreme importance in putting forth the witness of our Holy Synod in Resistance. It consists of a long, at times tedious but extremely significant statement about our ecclesiological position and our general view of the Orthodox Church and our place in it. The response is addressed to an organization/group calling itself “Ekklesiastikos” (“The Cleric”), which belongs to the other major group of Old Calendarists in Greece under Archbishop Chrysostomos II of Athens. 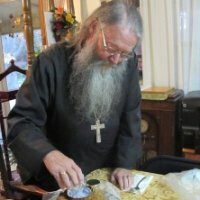 Archbishop Chrysostomos of Etna, under whom I studied in university, as most of you know, and who was the outside member of my doctoral committee in graduate school, often points out that theological argumentation among the Orthodox anti-ecumenists is so shallow and superficial that he has no interest in it. While many people dislike him for his candor, that is actually the former professor speaking. 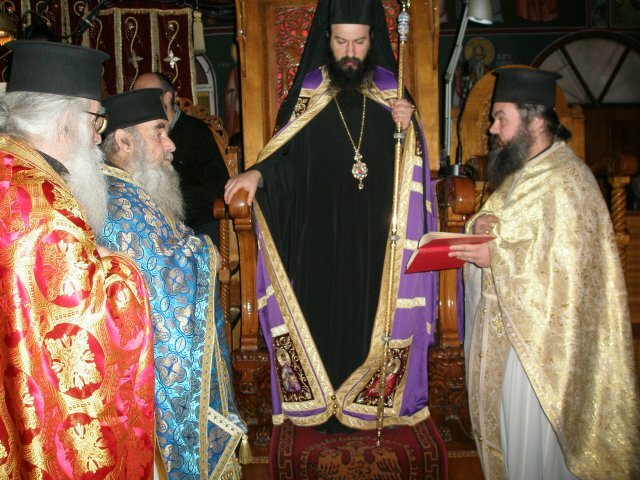 I did not do my graduate work until I was a monk, and then under obedience to the Archbishop and to Metropolitan Cyprian, who insisted that I complete my doctorate even after my Consecration as a Bishop. I have no professorial sensitivities, therefore. What I sense when I read exchanges between various traditionalist Orthodox groups is a cause for sadness. The majority of it is a game of adolescent one-upmanship. The game is to crush an opponent and pose as the winner, the most righteous churchman or layman, the champion of Orthodoxy and a guardian of the Faith. Judge everyone, condemn everyone and find all of your opponents evil and heretical. These attacks are almost always waged in illiterate, nasty, un-Christian diatribes that make one embarrassed for those who write them: individuals blinded by unwarranted self-importance, religious arrogance, and misanthropic motives. These poor men and women delight in the falls of others, love to set up enemies, and hurt their souls and the sensitivities and hearts of others with horrible words of hatred. The more literate among these traditionalist “apologists” throw about Patristic aphorisms that they do not understand, cite historical precedents that they do not fully grasp and use whatever intellectual credentials they may have to chew up their opponents. What is amazing is that, for all of their claims to Patristic, canonical and theological support for their views, their much too limited and paltry reading in these areas becomes crystal clear. They miss the lofty, subtle nature of Patristic theology and argue with logic that one can find in the fish market or in an assaying office and that is deadly to true theology. The attached responses to questions posed to our Bishops (some of the questions, as you will see, put forth with astonishing arrogance and with shocking aggressiveness) demonstrate what good Patristic thinking and what correct theological and canonical viewpoints entail. They are written in the spirit of the Fathers, with that “candid edge” that marked the brilliance of Father Florovsky, another of my mentors, but in a spirit of “tough love” that honest, sincere people will respond to. You’ll see in this exchange why Archbishop Chrysostomos avoids addressing the Internet pundits with a tenacity that some observers consider arrogance. His stand is always, “Why embarrass them by confronting their ignorance and why antagonize them by answering meaningless questions?” You will see why I consider it inappropriate too to answer individuals who are obviously intelligent enough to formulate good questions but who do so in a spirit of superficiality that hides the fact that they are not looking for dialogue. They are looking for a triumphant victory, since they see everything in a polemical light. I hope that many of you, after reading this, will be edified and reinforced in our witness. I also hope that those who hate and denigrate us will see that we are faithful to the Fathers and the teachings of the Church and that we seek honest and sincere dialogue and not warfare and polemics. If we speak with and through the Fathers, as our texts always indicate, perhaps it will inspire others to look to Patristics and the Gospel of love, and not to polemics, false logic and argumentation. Instead of arguing their points for the sake of winning, I hope that they will see that we can answer all that they say, but that it distracts us, in doing so, from a cultivation of fidelity to the Faith that lies in love and the more refined attributes of the spirit. It is in these qualities that Christians unite, not in wars and hatred and attacks. They win unity by losing all of the things of the ego. And if sometimes we must speak strongly, it is not for the victory but for the glory of that loss.